Horizon Golf, is Taylor Wimpey de España’s second development at La Cala Resort, in the Valley of Mijas and is located within the complex’s famous Campo Asia golf course. Private gated development with gardens and communal swimming pools. All homes have a basement, a spacious main floor, large terraces and solarium of over 50 m² with panoramic views. Horizon Golf features luxury finishes, fully equipped furnished kitchens and installed air conditioning, designer bathrooms, bedrooms with motorized blinds, and secure, fully lined wardrobes. 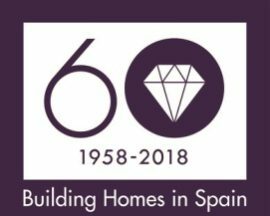 Taylor Wimpey de España has created a new concept of terraced homes, based on the maximum use of the space. Private basement with direct access to the home. Airy main floor integrating the kitchen into the living room and with a large terrace. First floor with 2 bathrooms, 3 good sized bedrooms, with direct access to the sun terrace. The construction, in accordance with the new European regulations and energy rating B, is pioneer in the area. The homes are characterized by the highest soundproofing, thermal insulation and higher energy efficiency thanks to its solar panels. Phase 1 & 2: All sold out. Phase 3 (17 homes): June 2019. Now for sale ! Your new terraced home at La Cala Golf Resort, developed by the prestigious Taylor Wimpey de España. The area has three 18-hole golf courses, a hydrotherapy centre and Spa, a 4-star hotel, a golf school (La Cala Golf Academy), 24-hour security and a variety of sports facilities, all surrounded by a fantastic natural environment. Only a few minutes’ drive away you can enjoy the charm of Mijas and its well preserved old town of narrow streets, go shopping in Marbella or Fuengirola, or enjoy the nightlife in La Cala de Mijas and Puerto Banus. Take advantage of a high quality residential environment, strategically located in La Cala Golf Resort, for a truly unique price. La Cala Golf Resort is located between Marbella and Fuengirola, and between the sea and the mountains. Horizon Golf is located in the “Campo Asia” golf course, the oldest at La Cala Resort, next to the Cala Club, Hotel, Spa and restaurants in the resort. From the new homes you will be able to enjoy the panoramic views over the golf course and the bay of Mijas. La Cala Resort is well-known as one of the best golf resorts in Andalucía. Located in a unique surrounding, between the mountains, the beautiful natural “Parque Natural de la Sierra de Mijas” and the Mediterranean Sea. Only 10 minutes from the marvellous beaches of the Costa del Sol, between the bay of Mijas and Fuenjirola; 20 minutes from Marbella and 30 minutes from Malaga airport, that is accessed by the A7 Motorway (N-340). Its privileged location allows you to enjoy the best entertainment and fun, sunny beaches and the best golf courses on the Costa del Sol, within a range of 30 Km. La Cala Resort offers many leisure activities. The largest golf resort in Spain, has 60 holes spread over 3 18-hole golf courses and a 6-hole Golf Academy, par 3. It has sports facilities, including tennis courts, professional football field, gym, leisure centre, spa, 2 exclusive restaurants, 1 cellar and an emblematic 4 star hotel. This residential complex is situated close to the marinas of Benalmadena and Puerto Banus in Marbella. You can choose from different entertainment areas and from a variety of restaurants in La Cala de Mijas, Fuengirola, or Marbella. You can visit the Andalusian villages in the area: Mijas with its wonderful views and narrow streets; Fuengirola with it’s over 7 kilometres of beach and Castillo Sohail, Ronda and its spectacular Tajo.